Pink Lemonade : We Bop! 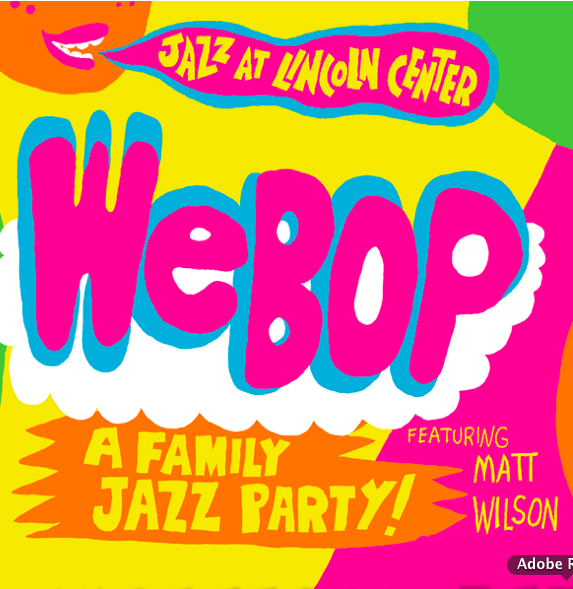 Introducing WeBop: A Family Jazz Party, a brand new CD that brings the best of our WeBop classes home to families everywhere. It’s music for little people and the big people who love them to enjoy together—playing, dancing, singing, drumming, and jamming out with whatever you’ve got. Led by drummer and dad Matt Wilson, the CD features an all-star, intergenerational band that includes Jazz at Lincoln Center Orchestra members Marcus Printup and Vincent Gardner, singer and guitarist Doug Wamble, and the legendary percussionist and NEA Jazz Master, Candido Camero playing alongside some very talented kids. I've added my own color coordinated tribute to the recording-shake it!